It is expected that the case involving disgraced former Cardinal Theodore McCarrick who is accused of various incidents of sexual abuse over the past 50 years, will be decided by the Vatican before the February 21-24 bishops summit on clerical abuse. Crux’s John L. Allen, Jr. is reporting that, according to various sources, McCarrick is set to lose his clerical status, which is more commonly known as being “laicized” or “defrocked.” This is the most severe punishment that can be imposed on a priest and is usually reserved for especially heinous offenses. McCarrick, who is accused of the sexual abuse of a 16-year-old boy more than 50 years ago as well as various other incidents involving adult priests and seminarians, already received a highly unusual sanction in July 2018 when he was stripped of the title of Cardinal, making him the first prelate in a century to lose his red hat. 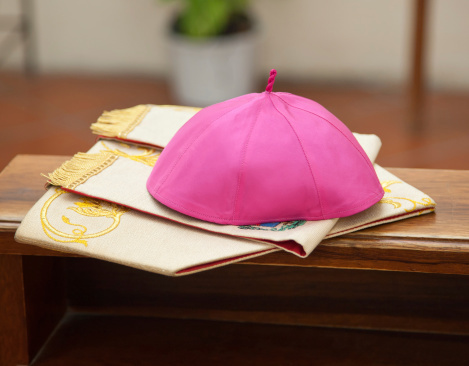 “Assuming the laicization happens, he would also be the highest-ranking Catholic cleric in modern times to suffer that penalty,” Allen writes. Although sources say that the Pope and his Vatican team want the McCarrick case to be resolved before the upcoming summit, Allen warns that this will not be the end of the issue. Defrocking McCarrick would certainly show that the pope means business, but it leaves unresolved the most pressing issue surrounding this case – the cover up. How did McCarrick get away with this behavior all these years? Who knew about it and when did they know it? And how could someone with his history have risen to such high levels in the Church hierarchy? What the Catholic faithful really want is full disclosure. “ . . .[W]ho knew what, and when – who propelled his rise to power, and what did they know about the rumors and reports concerning McCarrick at the time?” Allen asks. Let us keep all those involved in this matter, including Theodore McCarrick and his victims, in our prayers! For more information on how you can support our priests during this troubling time, visit the Foundation of Prayer for Priests.